The sodium channel, a ubiquitous member of the cardiac, neural, and muscular conduction systems, has been implicated in the pathogenesis of an array of human diseases. Mutations associated with the cardiac sodium channel are responsible for a wide spectrum of disorders. 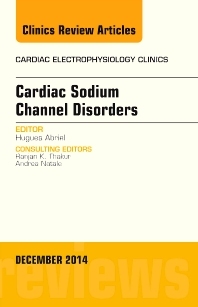 The cardiac sodium channel and associated disorders are comprehensively examined in this issues of the Cardiac Electrophysiology Clinics.